Q: “In the vast majority of cases, before people attack, what do they do? If dealing with people is what we law enforcement officers do, then when it comes to that topic we need to become the world’s foremost experts. In our Calibre Press Communication Solutions for 21st Century Policing seminars, one of the first things we do is immediately articulate the professional goal for all law enforcement officers when on the job. That goal is: To control, redirect, and influence other people’s immediate behavior. That’s pretty much it. That’s what we do, isn’t it? Straightforward and simple. If someone is beating someone up, we stop it. If a citizen is upset because his bike was stolen, we try to empathize and minimize his distress. If they are lying, we try to get them to tell the truth. If they are victims, we do our best to make them feel safe and secure. In short, we address, deal with, and attempt to control, redirect, influence, and yes, manipulate the behavior of others. And in virtually every case, a person’s behavior is dictated by their emotions. This is the area in which we need to focus our training. Human behavior. Human emotions. Emotions affected and often controlled by stress. What does this have to do with picking up danger cues and preattack indicators? Everything. Because communication is everything. There is an old adage in the martial arts world that goes something like this: You know the best way to avoid getting punched? Don’t be there when it shows up. Human animals are in a constant state of communication. Where they sit, how they sit, who they sit with, what they wear, how they speak, what they say or don’t say, the words they use or don’t use, the touch of the face, how often they touch their face, the brushing of imaginary lint, the list can go on but suffice it to say that everything says something. Whether the signals are benign or alarming, understand that there are always signals. 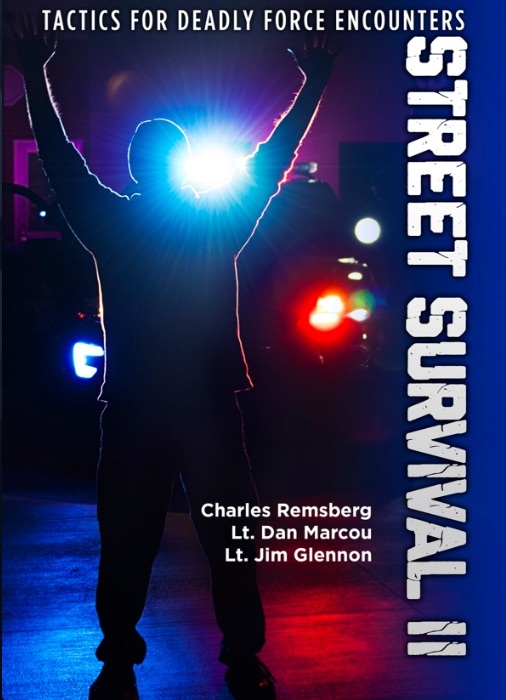 This understanding of human-to-human interaction is a must for police officers. You must see and hear things that the other person doesn’t even know they are communicating. More importantly, you need to know – on a conscious level – what those things mean. The short answer to why we feel certain things while being unable to consciously reconcile why we have those feelings comes down to the power of the unconscious aspect of our brains. There is an old psychological theory that says almost everything we have ever experienced is housed in the unconscious (some prefer to use the term subconscious) part of our brains. This is why we recognize a real smile compared to a fake smile and can detect a hint of doubt, despair, or fear in the tone of a voice. As the theory goes, we see, smell, feel, and hear what is happening all around us all the time. In that context, we also constantly see the results of these interactions. Unconsciously, we link all of that data and categorize the happening. The unconscious picks up little cues and data points that our conscious simply does not. So when confronting certain types of behaviors, those files are accessed and conclusions are often made. This works in the reverse, also. Others are constantly reading you.